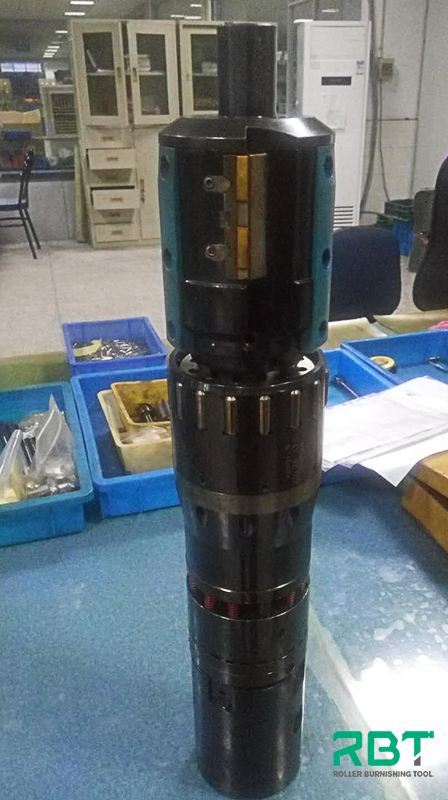 The deep hole machining of oil cylinder is always a big problem in burnishing industry. Usually, the processing time will takes 1-2 hours, but today we will discuss how to use RBT’s skiving and roller burnishing tool to machine oil cylinder, which just needs within 5 minutes, the tool is 10 times more efficient than honing machine that can greatly improve the processing efficiency. 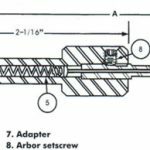 How the skiving and roller burnishing tool works? The skiving and roller burnishing tool adopts reciprocating processing technology, first step, skiving internal hole allowance when forward feeding, roller burnishing when backward, the surface roughness can reach ra0.02-0.2 after finished, and the surface hardness can be doubled, and then the service life of oil cylinder is increased. Okay, let us make an example for understanding. 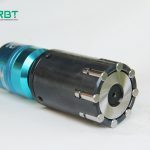 As the above information from customer, we strongly recommend our customers to use RBT’s skiving and roller burnishing tool, which the tool needs required hydraulic pressure is 5MPa, which the skiving cutter collapsed by hydraulic, and the roller burnishing portion set to a particular size is the tapered, which the expand by mechanical principle of taper.